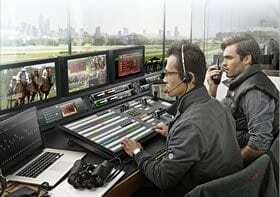 We offer the Blackmagic Design, Top Quality TV Broadcast Studio. As authorized resellers of Blackmagic Design audio and visual production equipment we can design and create a professional broadcast studio for you to livestream your message to the world. Together with our partners at Tecnomedia TV who have more than twenty years experience creating and operating studios and outside broadcast trucks. We can create a perfect blend of a Top Quality TV Broadcast Studio at budget prices. You may be a non profit needing to broadcast meetings and events to your followers, or a ministry using a subscription plan to raise money to continue the good works. Whatever your need, you must talk to us so that we can help you create your content and then deliver to your audience worldwide.